A man has died after a two-car crash that seriously injured two others. 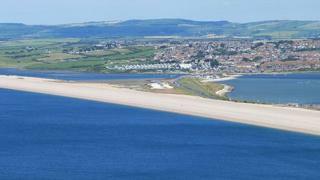 It happened on Portland Beach Road in Dorset at about 23:25 BST on Wednesday and involved a blue BMW and a grey Peugeot 2008. The 72-year-old passenger of the Peugeot died in hospital on Thursday after suffering life-threatening injuries. Two other men sustained serious injures and were also taken to hospital. The road was closed in both directions while forensic investigations were carried out but has since reopened.